Find more information on Cellist Yvonne Timoianu here. 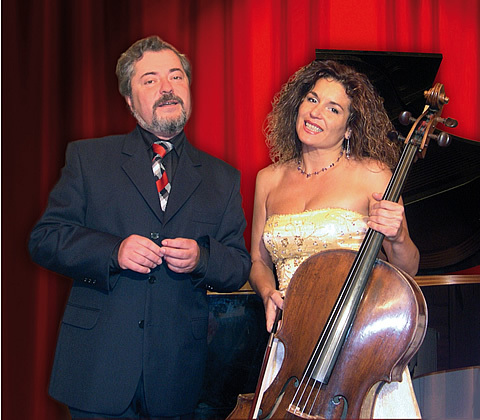 formed by Yvonne Timoianu, Cello and Alexander Preda, Piano, this ensemble is considered to be highly representative for the distinctive musical traditions of the City of Mozart. ..music came to a glowing life.. The name "Duo de Salzburg" was first applied in 1985. Since then the Duo has given more than 1.000 recitals and concerts in most of the European countries, North and South America and the Orient. Festivals of Quito (Ecuador), Stellenbosch (South Africa), Panama, Mexico City, Rome, Seoul and others characterize a rich and complex concert career. 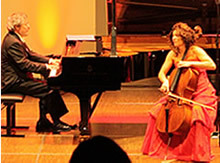 Several TV and CD recordings together with a large number of radio interviews as well as two documentary films (the most recent "A cello sings…" realized in Salzburg) - reflect their intense concert activities. Recordings: Brahms, Cello Sonatas Op.38. Op.78 and Op.99 (Sony, P115.1108Y) ; Schubert & Onslow (Preiser Records PR 90541); "Le Grand Tango" (Preiser Records PR 90599), "A Feast for Chopin, 2010",etc. Given their active involvement in contemporary music, Timoianu and Preda perform, in addition to the extended classical repertoire, a number of works that were dedicated to them. Most recent one is the memorable Henri POUSSEUR‘s last work for cello and piano „Petit Mausolée pour George Enescu“, 2005.
the George Enescu special bursary from the Academy of Bucharest. 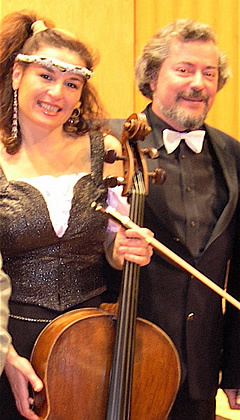 Duo de Salzburg with Yvonne Timoianu Concert Cellist and Alexander Preda Piano from Salzburg build a world-wide known music-partnership. Over 1.000 performances in Europe, Asia, the Americas and South-Africa.